These three ads will be displayed randomly in a new advertising campaign we are developing with National Parks Traveler. We have committed to 20000 impressions a month and are hoping to watch the site stats soar! It’s more interesting than gambling. Along with our monthly email blasts we are trying to make the book more widely known. Honor Flight has certainly been of great service as almost 40000 books have been sold to Honor Flights. 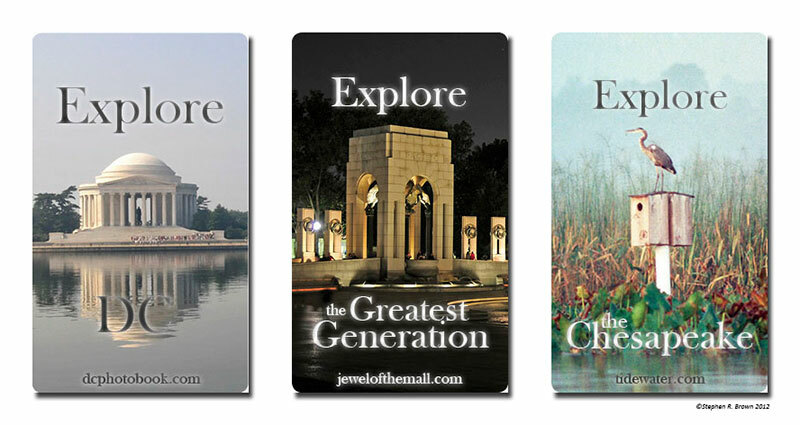 August 6, 2012 | Filed under About the Book, Blogs, Books, DC Photo Book, Honor Flight, Photography, Tidewater, WWII Memorial and tagged with Iwo Jima, Jewel of the Mall, National Park Service, photography, Travel, veteran, Washington, WWII Memorial.